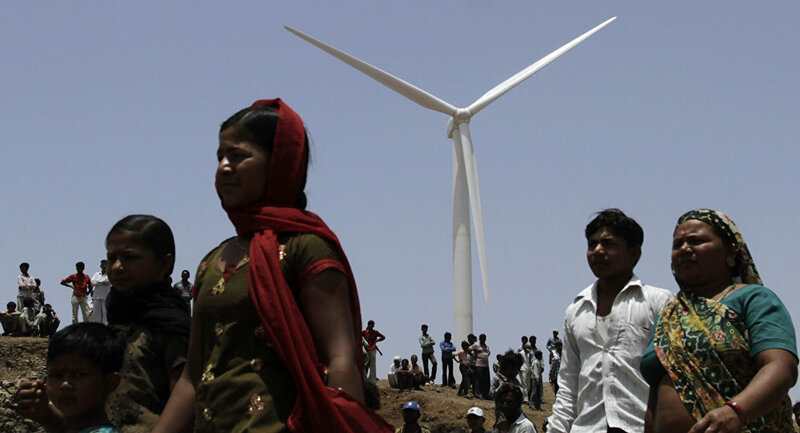 Auctions have yielded some of the lowest prices for both wind and solar energy in India. 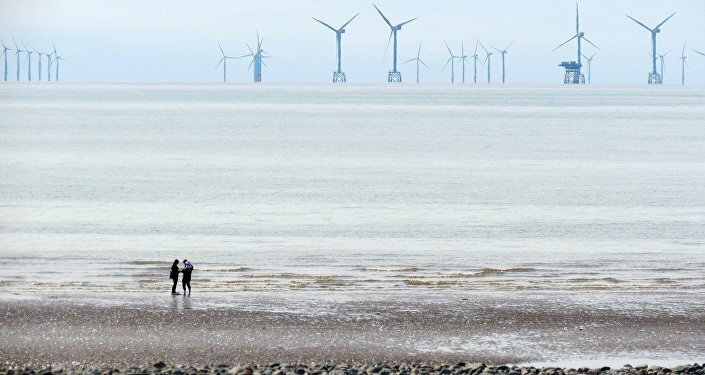 With improving technology and reducing tariffs, the government is not only confident of achieving the clean energy target of 175 GW by 2022, but also of exceeding it. New Delhi (Sputnik) — Providing a major thrust to the Indian government's "clean energy" drive, a wind power tariff in the country is poised to touch a record low of less than four cents per kilowatt-hour (kWh). In the second bid conducted by the Solar Energy Corporation of India (SECI) for a one GW interstate transmission system connecting wind power projects, ReNew Power, Orange Sironj, Inox Wind, Green Infra and Adani Green all proposed a tariff lower than four cents per kilowatt-hour for a cumulative capacity of 1000 MW. The wind projects are to be commissioned within 18 months from the issue date of the letter of award by the SECI to the successful bidders. The tariff discovered in the second bid is a cent lower than that of the first auction held in February this year. "With improving technology and reducing tariffs [the] government is not only confident of achieving the target of 175 GW by 2022, but exceeding it," India's Ministry of New and Renewable Energy said in a statement. The Indian government has set an ambitious target of adding 100 GW of solar energy and 60 GW of wind energy into the country's energy mix by 2022. The power purchase agreement with the successful bidders of the first auction for 1050 MW projects was signed by the Indian government in July this year and the projects are likely to be commissioned by September 2018. Presently, India has an installed wind power capacity of over 32 GW, which is due to stellar performance in the two consecutive years since 2015-16. It added 5.4 GW against a target of 4 GW in 2016-17 and 3.423 GW in 2015-16. A record fall in the wind tariff may be seen in continuation of another cheaper renewal energy- solar power. Earlier this year, Indian energy producers had agreed to generate solar power at a cost of less than four cents per kWh. Renewable power generation is also aiding the government in dealing with unemployment as with every unit of renewable power generated in the country, 5-7 times more jobs are being created as compared to power generated through conventional energy sources.